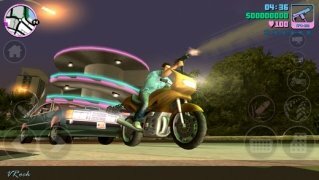 Whether you're a fan of the games from the Grand Theft Auto series, you've probably heard of San Andreas, a real icon within the world of action games. Well, this title didn't appear from out of the blue and plenty of its success was due to the previous installment of the Rockstar saga: this GTA Vice City. 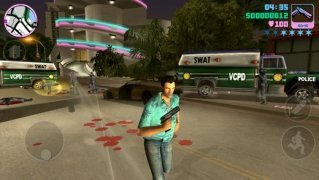 The story and context in which GTA Vice City - Grand Theft Auto is developed will seem very familiar if you've watched movies of the likes of Scarface or series such as Miami Vice, settings that have later been recreated very well in Narcos. Well, this isn't Miami, it's Vice City and you're a gangster that has to make his way in the world of crime to reach the top. For such purpose, you'll explore a huge open world full of aesthetical cliches that are very usual in this context: impossible hairstyles, cream-color suits, shovels of cocaine... All the latter, in a perfectly recreated city where we'll be able to visit its beaches, marshes, posh neighborhoods, run-down quarters, and where we'll interact with different characters that will help us to fulfill our missions. The most depraved version of the 80s'. This remastered version was released to celebrate the game's tenth anniversary, improving its graphics and adapting the controls to mobile devices such as Android and iPhone. The story doesn't differ from the original plot in anything but it's a perfect format to be able to recover the classic game and enjoy it on a smartphone or tablet. Option to save games on iCloud. Many hours of gameplay guaranteed. Compatible with Retina Display devices. Choose your way of succeeding. 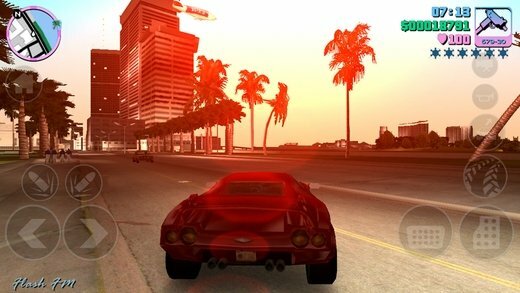 This game was released for different platforms before doing arriving on mobiles: PC, PS2 and PS3, PSP, Xbox, Mac... and it's been a success on them all. As you can imagine, it's got a very large user community the members of which are constantly sharing all their knowledge about the game, such as strategies, cheats, and advice to complete it. In any case, you won't have any trouble finding any of them on Google, as well as different gameplay videos on YouTube. 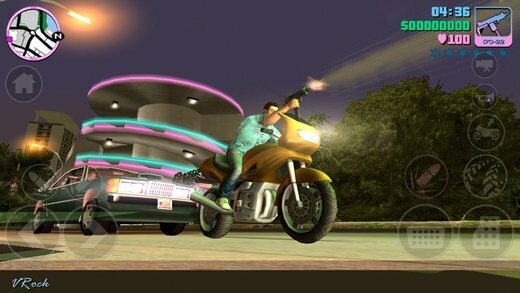 It's a great way of getting ready for GTA Vice City Stories, isn't it? Adds full-screen support for iPhone X and XS, as well as iPad Pro. Fixes bugs and implements performance improvements.